Compare Peoples Health to other Medicare plans. 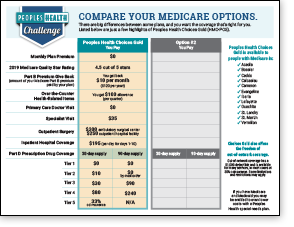 Choose your parish, get your worksheet and compare Peoples Health’s benefits to other plans. 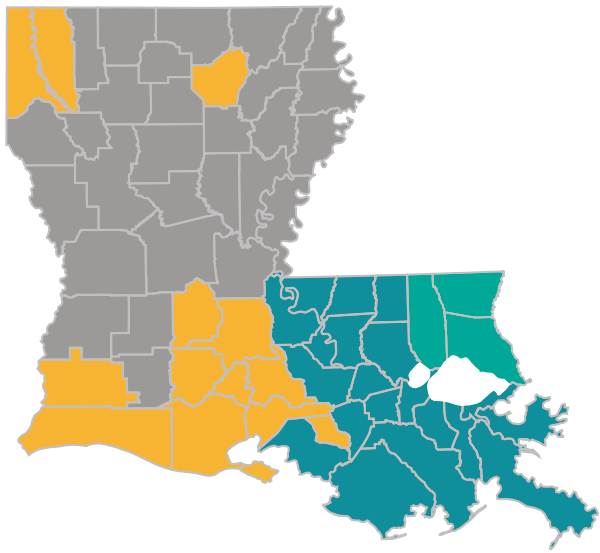 Choose your parish to get the plan worksheet that’s right for you. Then, click the “Get your worksheet” button. Your PDF will open in a new browser window. 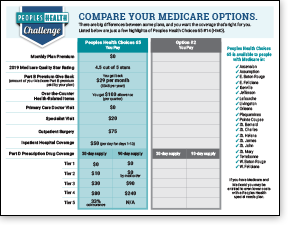 *Comparison sheets are available for plans in 35 parishes. Our $0 premium plans offer these benefits and more. Does yours? 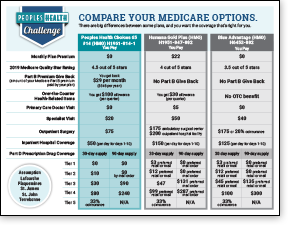 Ask about our Part B Premium monthly rebate that we call the Give Back. It’s like getting a raise on your Social Security check. *$0 Tier 2 generics by mail order. 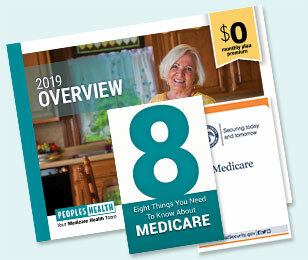 Get your two FREE must-have guides to Medicare: the Social Security Administration’s Medicare booklet and 8 Things You Need to Know About Medicare. Together, these guides can help you better understand your coverage options under Medicare. 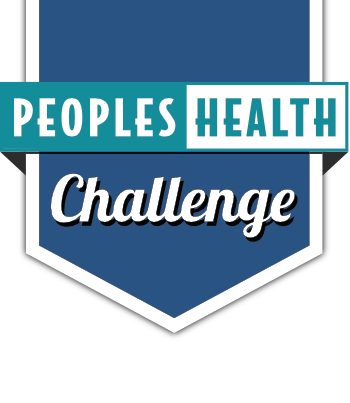 We’ll also send information about Peoples Health coverage available in your area. If you would like to be contacted by a sales representative to confirm you received the kit and to answer any questions you may have, please enter your phone number in the form below. There’s no obligation.